We've tested simple electric freestanding ovens as well as dual-fuel ovens that offer the instant high heat of a gas stovetop and reliability of an electric oven. Snapshot: The Ariston A6VMH60XAUS is a freestanding electric oven with a radiant ceramic cooktop and an internal volume of 53L. But what’s its cooking like? Snapshot: The Parmco AR 900-LEG HSB738356A is a freestanding electric oven with gas cooktop. But what’s its cooking like? Snapshot: The Beko BFC918GMX is a freestanding electric stove with a 99L internal volume and gas cooktop. But what’s its cooking like? Snapshot: The Smeg C6CMXA8 is a freestanding electric oven with radiant ceramic cooktop and an internal volume of 63L. But what’s its cooking like? Snapshot: The Smeg C6GMXA8 is a freestanding electric oven with gas cooktop. But what’s its cooking like? Snapshot: The Falcon Classic deluxe CDL90DFFBL/CH is a freestanding electric stove with a 51L internal volume and gas cooktop. But what’s its cooking like? Snapshot: The Beko CSM 81320 DX is a freestanding electric oven with gas cooktop. But what’s its cooking like? Snapshot: The Beko CSM 87300 GX is a freestanding electric oven with radiant ceramic cooktop and an internal volume of 65L. But what’s its cooking like? 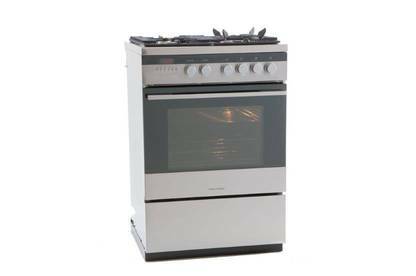 Snapshot: The DeLonghi DEF905GW1 HSB738356A is a freestanding electric oven with gas cooktop.But what’s its cooking like? Snapshot: The Smeg FS9606XS is a freestanding electric stove with a 101L internal volume and gas cooktop. But what’s its cooking like? Snapshot: The Belling FSI60MFTS is a freestanding electric oven with an induction cooktop and an internal volume of 48L. But what’s its cooking like? Snapshot: The Bosch HCA854450A is a freestanding electric oven with a radiant ceramic cooktop and an internal volume of 59L. But what’s its cooking like? Snapshot: The Bosch HGD74W455A is a freestanding electric stove with a 60L internal volume and gas cooktop. But what’s its cooking like? Snapshot: The Ilve HNFF906WMP is a freestanding electric stove with a 76L internal volume and gas cooktop. But what’s its cooking like? Snapshot: The Bosch HSB738357A is a freestanding electric stove with a 103L internal volume and gas cooktop. But what’s its cooking like? If you already have gas connected for heating and hot water and are looking to replace an existing freestanding oven, we think a dual-fuel oven is a good option. But if you’re renovating your kitchen and have the option to install a separate built-in oven and cooktop we think this offers more flexibility and better performance. All the dual-fuel oven cooktops in our latest test are set up to run on reticulated natural gas. If you don’t have access to natural gas, the cooktop can be adapted to run using bottled LPG. We recommend looking into the costs of installation and fuel supply before buying a dual-fuel oven. Whether you choose natural gas or bottled LPG, a licensed or certifying gasfitter needs to install the oven. Once installed, you need to obtain a gas certificate from a certifying gasfitter to confirm it’s been properly installed. We recommend getting an electrician to check your home’s wiring before you buy to ensure your oven of choice is compatible. We found some tested models had a maximum load above 5 kW (the average oven draws about 3.2 kW). This may be more than your home’s wiring or fuse box can handle (especially older houses). If you’re hooked up to reticulated natural gas you’ll pay a fixed daily charge plus the cost of whatever you use – daily charges range from an average of $1.20 in Auckland and the top of the North Island to $1.80 or more in Wellington – so it makes sense to make the most of it and use it for space heating, water heating and cooking. If you’ll be using gas for cooking only, you may be better off converting the cooktop to LPG. This requires a conversion kit for the oven, so consider that cost at the time of buying. A licensed gasfitter must perform the conversion. LPG is supplied via 45kg cylinders installed outside. These will cost $88 to $107 to fill (and you’ll need two) plus an annual cylinder rental fee of about $115. An alternative is using 9kg “swappa” bottles, which can be filled for $30-$40 at petrol stations. Ideally, these will be installed outside but can be installed in a cupboard next to the oven if there's adequate venting to outside and there's no electrical sockets or switches. All hoses and fittings must be LPG-approved. In some situations, other requirements may apply so it pays to contact the Plumbers, Gasfitters and Drainlayers Board to check. Your heart’s set on one of the 90cm-wide models? Here are a few things worth knowing. The shelves and baking trays are much wider than a standard oven’s. So they can be difficult to handle, especially when hot. The trays and shelves won’t fit in a standard kitchen sink. If you’re installing a 90cm-wide stove as part of a new kitchen, choose your sink accordingly. These large ovens can take a long time to preheat: around 30 minutes to heat to about 200°C. During our testing, some ovens never quite reached their maximum heat setting and so the preheat light remained on. For the quickest preheat, choose the hottest function with the most elements switched on and then switch to the appropriate setting once the oven is up to temperature. If there’s no “rapid heat” function, use “fan-assisted baking” – this uses the top and bottom elements to heat the oven, and the fan to circulate the hot air. On the plus side, these ovens provide loads of internal space. So you’ll be able to roast two turkeys at the same time on Christmas day. Try doing that in a 60cm-wide wall oven! The best models performed well in our oven and cooktop tests. But we think you can get even better performance – and greater flexibility – from a separate cooktop plus a built-in oven. Bosch is the Top Brand for freestanding ovens. The Top Brand award recognises brands that perform consistently well across product testing, reliability and customer satisfaction. We asked our members about their freestanding ovens to find out which brand is most reliable. To see which brands are best, become a paying Consumer member or log in. Multifunction ovens have a variety of heating methods. Conventional baking: This is standard convection baking using the top and bottom elements. It tends to be slightly hotter towards the top, allowing food to brown. It's good for cooking foods such as cakes, roasts and casseroles. Fan-forced: Heat comes from an element at the rear of the oven, and a fan in the centre of the element circulates the heat. The oven heats relatively quickly and efficiently. Heat is distributed evenly – making it good for multi-shelf cooking. It's similar to conventional bake but heats faster and more evenly. Classic ("base") baking: Heat comes from the bottom element only. It's particularly recommended for getting crispy bases. Fan-assisted: This uses the top and bottom elements of the oven, with a fan circulating the heat. "Fan-assisted" helps distribute the hot air evenly, so it's useful when you're cooking on more than 1 shelf. Grill: This may use a special grill element, or just the conventional top element. It's good for finishing off dishes that have cheese toppings, and for other "browning" tasks. Grill with fan: Can be used to cook chicken and other roasts or larger cuts of meat. 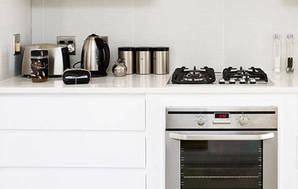 If you are considering buying a new stove, here's what to look for. A large oven-window - it should be big enough for a clear view inside. Usable inside space - check this by taking along your largest baking or roasting dish (or the measurements and a tape) to see if it'll fit. Interior light - make sure the bulb is easy to replace. Shelves - these should have stops to prevent them being pulled out accidentally and they shouldn't tilt down when pulled out with the weight of a heavy dish on them. A good range of shelf positions and 3 or more shelves - for flexibility. Moulded runners - they're easier to clean than metal pull-out ones. A counter-balanced oven door - this should be light and easy to open, and should stay open in any position. Under-oven storage - useful for large trays and racks. Several grill-tray heights - at least 2. A sensible and safe grill tray - the tray should come out far enough to let you deal easily with food at the back of it, and should have a "stop" mechanism to prevent it from accidentally being pulled right out. A smokeless grill tray is good. A safe grill-element - make sure the element has a shield or is set high into the oven ceiling, so that your fingers can't accidentally touch it. For easy cleaning, a pyrolytic self-cleaning function is best – although catalytic liners also make cleaning easier. Think about how often you use your oven and what you like to cook in it: an oven with pyrolytic self-cleaning will make life easier for those who often cook dishes that splatter oils or fats around the oven. Ovens with pyrolytic cleaning have a special setting: the oven heats up to around 500°C, converting food residues into ash that you then wipe away. Most of the ovens have a light soil-clean (1.5 to 2 hours) and a heavy soil-clean (2.5 to 3 hours). For safety reasons, the door automatically locks during the pyrolytic clean and is released only when the oven gets down to about 280°C. The outside of the oven is much hotter than usual while cleaning, so keep children out of the kitchen. While pyrolytic cleaning sounds great, not all the hard work is done for you. All runners, shelves and other accessories need to be removed beforehand and cleaned separately – which can be difficult in some models. It's also worth cleaning off any coarse dirt first, and thoroughly cleaning the inside glass. And of course afterwards you have to remove the ash from the oven. But while you still have to get your hands dirty, the pyrolytic function is chemical-free and it does thoroughly clean your oven – particularly in hard-to-reach places. We'd recommend it to anyone who can afford these types of ovens. 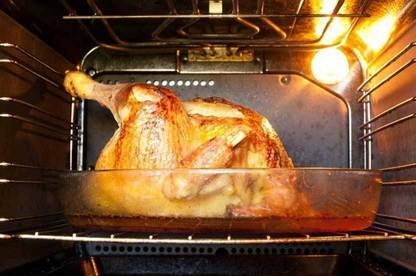 Some ovens have a self-cleaning surface known as a catalytic liner. This microporous coating absorbs fat splatters while the oven is cooking. While the liners protect the walls from fat splashes you still have to clean the doors, shelf supports, racks, and floor – but liners certainly make the job easier. To get the best out of catalytic liners, regularly heat the empty oven for between 30 minutes to an hour (depending on the manufacturer's instructions). If they're properly cared for, the liners should last a long time – but they may eventually need replacing. It used to be common practice to line the base of your oven with aluminium foil or an aluminium-foil liner to save it from messy spills. Most manufacturers now warn against this because it can cause overheating and damage to the enamel interior. You also can’t put baking dishes on the bottom of your oven to cook, which is why our useable (measured) dimensions usually vary from what’s in the manufacturers’ specs. We always measure from the bottom shelf up. We use the same cooking tests for all stoves. We roasted a whole chicken to assess how each oven copes with a non-uniform food. We bake scones to test how well the ovens do at high temperatures over a short time, and meringues to test them at low temperatures for a long period. We make a freshly prepared pizza and cook it at a very high temperature for a short period to assess the oven’s ability to crisp and brown the base and evenly cook the toppings. And we roast a whole chicken to assess how each oven copes with a non-uniform food. We make toast and grill sausages to assess speed and evenness of grilling. First we make white sauce on the simmer-burner to test the cooktop’s ability to perform at a low temperature for a long time. Next we cook rice on the medium-sized burner. This tests the "turn down" capacity of the element and whether the burner can maintain a suitable level of heat at the lowest temperature setting. We cook a beef and vegetable stir-fry on the wok burner or the largest element to assess its ability to deliver continuous high heat. Our final test is chocolate-melting. Chocolate is sensitive to high temperatures: it must be melted on a very low temperature to avoid burning. We look at the user-friendliness of the controls and displays, and at how easy it is to use the cooktop elements, grill trays and oven shelves. We also evaluate the tedious stuff – cleaning each stove (inside and out). Check out more of our tests, articles, news and surveys in our Appliances section.